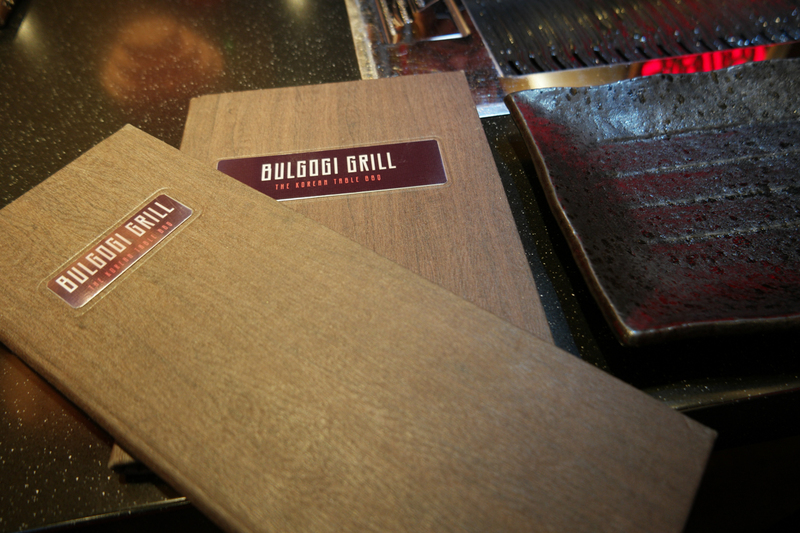 Bulgogi Grill is a Korean Table BBQ place in Leeds and I think it may have changed my life a little bit. It’s almost hidden next to Smoke in the Merrion Centre. Formally known as ‘The Arena Quarter’. 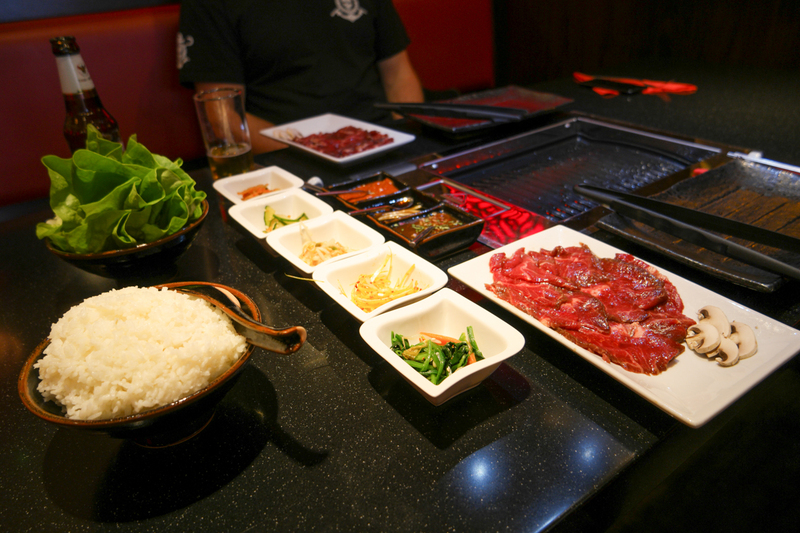 This was my first experience of Korean BBQ and I am not sure what I was expecting but I’ll be going back. I’m gonna say that it is not vegan friendly but there is plenty of fish options for vegetarians. You’re seated at a table with a hot plate in the middle and a huge over head extractor fan. This is because you cook the meat right in front at you at your own table. We went at lunch on a Saturday and the menu is limited but it was only £11.95 each. What a bloody bargain. The portions are huge and really we could have shared but we decided to indulge. I didn’t finish all my beef though. We were given some plastic tongs as our chopstick skills weren’t quiet up to scratch, the waitress even gave us a quick tutorial haha! 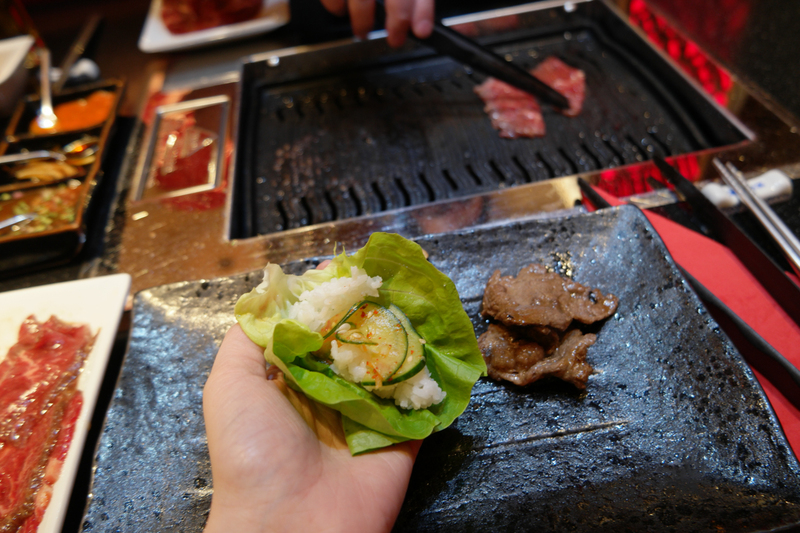 You basically cook your meat then wrap it in a lettuce leaf with rice and some veg. Voila. Yes but I think I’d stick to a lunch time for the time being. For less than £15 I had an amazing lunch and a glass of pop. 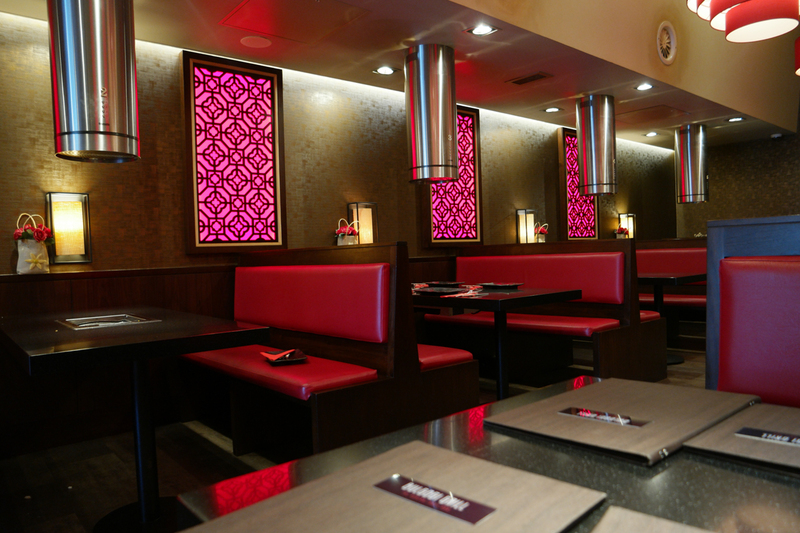 (Lunch runs from 12 to 2.30 Tuesday to Sunday). The evening menu is £24.95 pp I’ve yet to try it, maybe one day I will do but I’m not sure I could even eat that much. 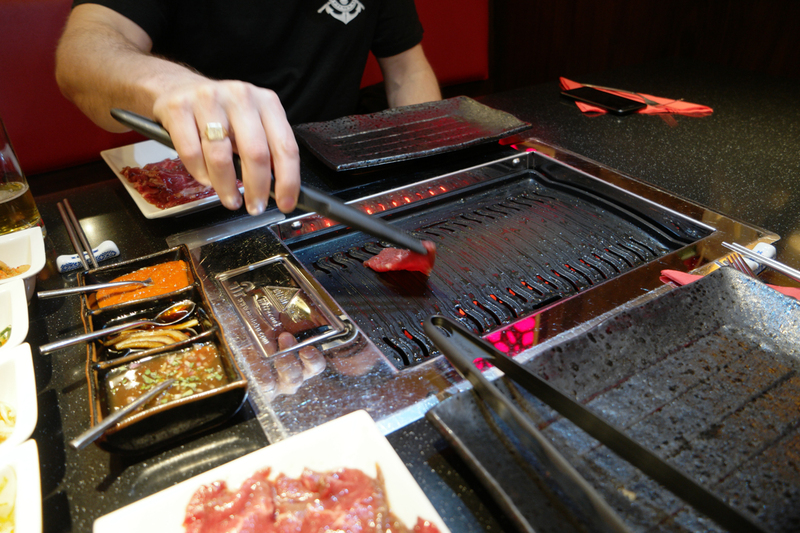 Have you tried Korean BBQ?